Just over a month ago, Cassandra Bartlett traded in the more than 15 years she’s spent at investment firms across the country in pursuit of her dream of opening up a yarn shop. And the former Salt Lake City resident decided that Las Vegas was the perfect place for it. “I thought it was a good market to have the business in and I fell in love with the city,” Bartlett said of Las Vegas. 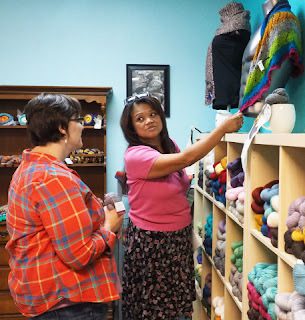 “It’s an unsaturated market for yarn shops and there are a lot of crafters here.” Before relocating to Las Vegas, Bartlett and her family spent weekends searching for the perfect location. Mirage Fiber Arts made its debut in late July at 1161 S. Buffalo Drive in Summerlin. Bartlett said she’s been working together with her competition, Sin City Knit Shop on East Windmill Lane. Bartlett has been knitting for the past six years and said it’s not complicated for people to learn. In addition to hosting free knitting, crochet, weaving and spinning classes, Bartlett also has teamed up with a local nonprofit, The Energy and Arts Church of Healing. The Rev. 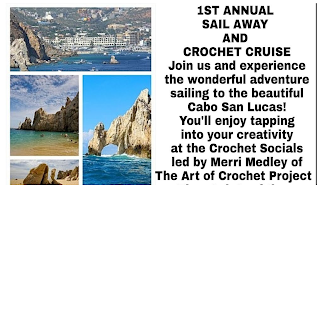 Merri Medley launched the nonprofit group in February as a way to heal the mind, body and spirit through the art of crochet. Bartlett said she found Medley’s organization online and decided to reach out. Like any new business owner, Bartlett said she wants to see Mirage Fiber Arts be successful. In the future, Bartlett would like to see her business expand in the Las Vegas Valley.